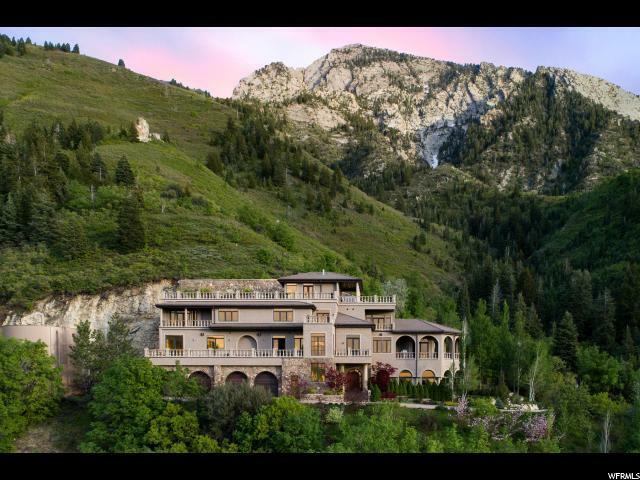 This large luxury estate sits on a vast acreage surrounded by wildlife, pine trees and the towering granite faces of Utah's iconic Mount Olympus. The unobstructed views of the valley combined with the views of mountains leave a feeling of freedom, inspiration and serenity. As you enter the private gates you leave the bustle of the city and feel the tranquility and privacy of a luxury lifestyle. The custom, refined finishes are too many to name and must be seen to understand the level of detail and care that went into the home. The master suite provides the perfect pairing of opulence and comfort with multiple areas for sitting inside and outside to enjoy the views, workout or sit, read and relax. The common areas off the master suite include a dining room, private office, kitchen, great room, large primary laundry room and incredible outdoor areas for entertaining. The residence level above the main floor has four comfortable bedrooms, sophisticated theater room, a secondary laundry room and another kitchen. 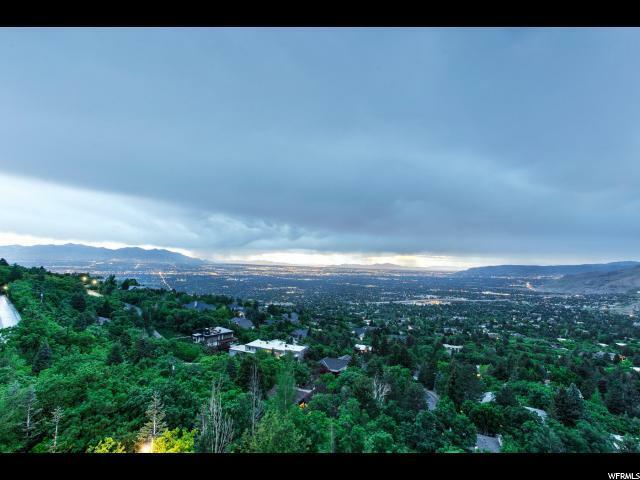 The full bar on the upper level has an unrivaled outdoor area with fire pit, hot tub and extraordinary large areas for enjoying the mountain and valley views simultaneously. The feeling of being on top of the world throughout the estate is real and can only be experienced in person. When you need to release a little stress, head to the indoor pool that has large sliding doors that overlook the Salt Lake valley and is complete with hot tub, steam room, dry sauna and full bar. The wine cellar, literally chiseled out of the mountain side, is large and features the natural mountain stone as the back wall. Wide stairs or elevator easily accesses all levels of the home. 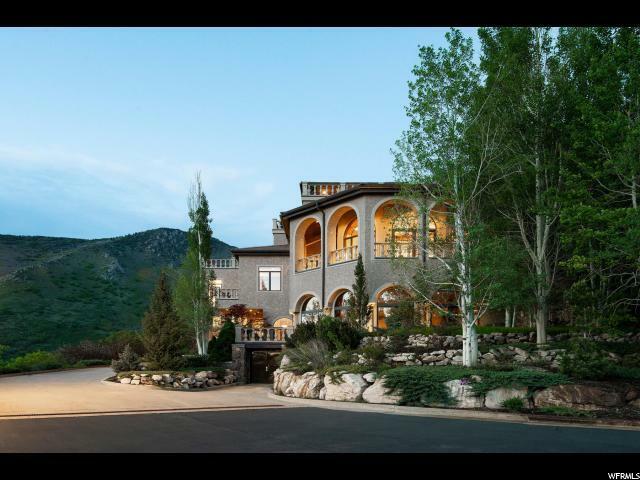 This home is unlike anything in the area and is an opportunity that should not be missed. Unique to this estate is the deep Artesian well with a completely upgraded water system that utilizes reverse osmosis and activated carbon for providing water to five separate drinking water dispensers (pool area, kitchen, master bedroom kitchen area, residence floor kitchen and top floor bar area). The water well does not need a pump as it has over 100 psi of inlet pressure and is sufficient for four households. All incoming water to the property is treated for iron removal only as it is already so pure. Imagine your own supply of Mount Olympus quality bottled water coming straight out of your tap. Operating costs are extremely low for an estate this size with neither water charges nor HOA fees. If you enjoy winter sports, the major ski areas in Park City, Little Cottonwood Canyon and Big Cottonwood Canyon are all within a 30-minute drive.